The best way to find serenity is discovering a way to pay the bills without sacrificing the things that make you happy. Regardless of what field you chose, success is rarely easy. And it’s frustrating to see how easily some people manage to hit a home run on their first try. How amazing would your life be if you had enough money to live your dreams? I used to feel like I spent my life on a stationary bicycle. 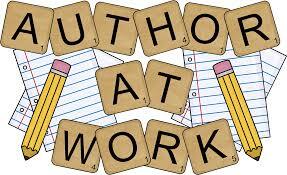 As an author, I know first hand how it feels to work hard every day with little return. Wishing and hoping someone would see how awesome my 5-star reviews were and spread the word! I’m here to tell you wishing and hoping doesn’t work…If you’re tired of spending your life riding like hell on a stationary bike, STOP! Get off that endless cycle! The secret to succes is within your grasp! My members only page lets you in on my real serenity secrets…how I was able to go from rags to riches and live my dreams. The secrets to MY success can help you find YOURS! Join my SECRETS TO SUCCESS today! I promise to GIVE you some amazing FREE Stuff that will blow your mind and kick your search for success into Overdrive! Click the book below to subscribe & I’ll give you a FREEE digital copy of The Wealth Factor as my gift to you and your future success. Open the door to your best chance at a fresh start and the life you’ve always wanted!